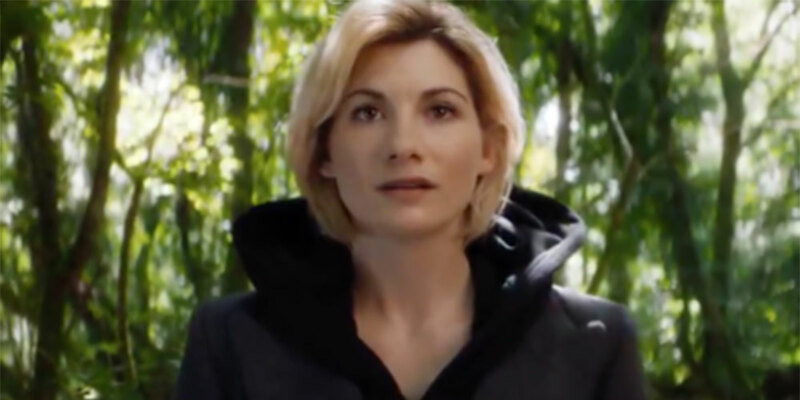 The BBC announced today that female actor Jodie Whittaker will play the 13th regeneration of the Doctor in the long-running British science-fiction television series, Doctor Who. This makes her the first woman ever to play the Doctor in the series’ 36 seasons and overall 54-year history. Whittaker will play the 13th incarnation of The Doctor, a time-traveling and dimension-hopping Time Lord who travels through history and space to stop evil forces from harming the innocent folks and negatively influencing history. The Doctor usually regenerates into a new incarnation as a result of being mortally damaged. 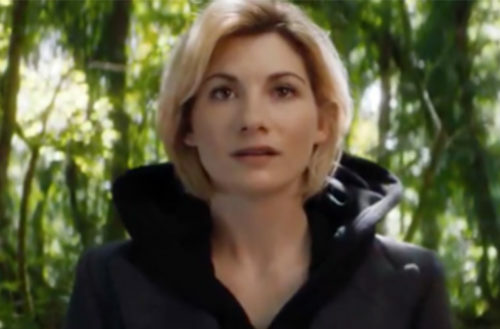 As such, Whittaker will emerge as the show’s 13th Doctor during its upcoming Christmas special. Regeneration was created as a plot device early into the show to allow other actors to play the Doctor so that the series might continue. Until now, all of the regenerations had been male. But the BBC made their announcement with an understated video revealing Whittaker as the new Doctor earlier today. You might recognize Whittaker from the 2011 alien invasion action thriller Attack the Block or from “The Entire History of You,” the third episode of Season 1 of the dystopian sci-fi series Black Mirror in which she played a wife suspected of adultery. Although the show originally began in 1963, it concluded for a while in 1989. Though the show lived on in a TV film and other audio adventures, in 2005, openly gay screenwriter and TV producer Russell T. Davies (the man who helped create the original Queer As Folk) re-launched the show. Gay actor Matt Lucas (a comedian who became famous through his work in the sketch comedy show Little Britain) briefly played the 12th Doctor’s companion, Nardole. Another one of the Doctor’s companions, Captain Jack Harkness, was a bisexual who hooked-up with men and women — he was played by openly gay actor John Barrowman. The Doctor’s most recent companion, Bill Potts, was a matter-of-fact black lesbian woman played by actress Pearl Mackie. The show has also featured a lesbian couple made up of a Silurian (a reptilian creature) and her female human partner who work as detectives in Victorian-era London. The Doctor sometimes has romantic relationships — the 11th Doctor, for instance, had a wife who was a bisexual woman named River Song — so it will be interesting to see whether the showrunners give the 13th Doctor a male or female love interest.